About | Farrior & Sons, Inc. Founded October 1, 1962, by Hugh Farrior, Jr., and his two sons Jack A. Farrior and William H. Farrior, Sr. At the start, the company was active in general construction, including renovation of existing buildings, remodeling homes, building new homes, and commercial buildings. The company soon became active in millwright work, grain facilities, feed mills, and other industrial facilities. In 1969, the company bought the property where the existing facilities are located and construction began for a new shop and office building. That same year a franchise was bought from Varco-Pruden, a pre-engineered metal building manufacturer. In 1993, the Board of Directors decided to divide the company and form two separate corporations. This was done so that each division could be streamlined and made more competitive in its market place. 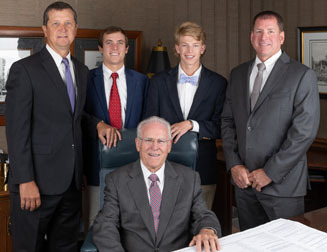 William H. Farrior became President of Farrior & Sons, Inc., and Jack A. Farrior became president of Jack A. Farrior, Inc. The two companies are located side by side but have no financial ties. Currently, the company focuses the majority of its work on Design/Build projects and public bid work. 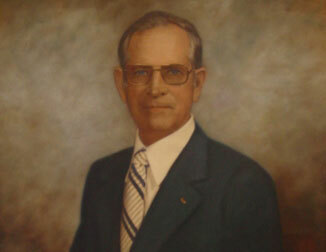 The Chairman of the Board is William H. Farrior Sr. while his son, William H. Farrior Jr. is President and Treasurer. Bobby L. Evans serves as Vice President and Corporate Secretary. Farrior and Sons is focused on the safety of their employees and contract workers and has operated for over 13 years without a lost-time accident. For the past six years the North Carolina Department of Labor has recognized them with their Gold Award. 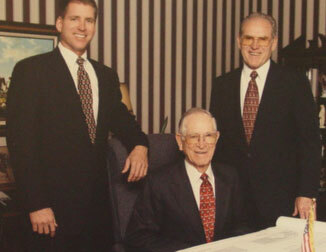 William Farrior, Jr.; Hugh Farrior, Jr. and William Farrior, Sr.